After 2017, it’s safe to say EA had to come out swinging. Mass Effect: Andromeda was a disaster, and EA followed that up with the loot box controversies of Need for Speed and, of course, the Star Wars: Battlefront II. 2018 is about EA trying to win back trust. 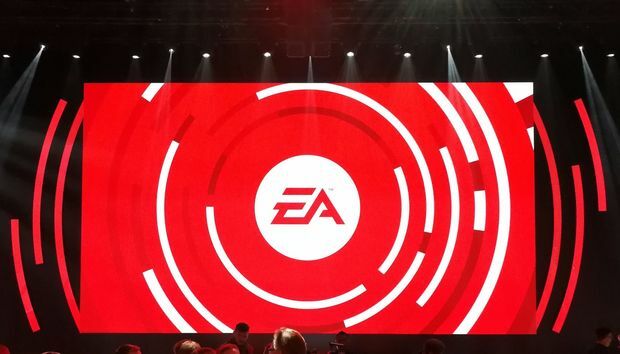 So for the second year in a row, we trekked out to Hollywood and the historic Palladium Theater on a hot Saturday to attend EA’s press conference and see what the company has in store. Battlefield V, Anthem, and—finally—Madden on the PC! The show kicked off with Battlefield V, which we already saw a bit of in May. I thought we’d be getting a look at the return of War Stories, the vignette-style campaign. Apparently that’s being shown at the Microsoft Xbox conference tomorrow though. Instead, EA spent its time on multiplayer. 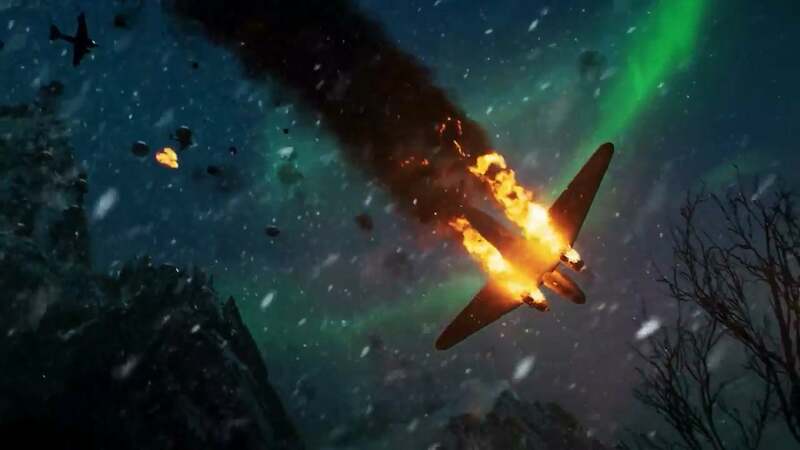 First, it confirmed there will be a battle royale mode coming to Battlefield V, though they’re not showing it here. That jibes with the reporting GamesBeat did earlier this year, saying one was being prototyped but probably wouldn’t be ready for launch. You’ll finally be able to dive through windows and move stationary guns around levels with vehicles in multiplayer modes, too. Hey, big surprise! 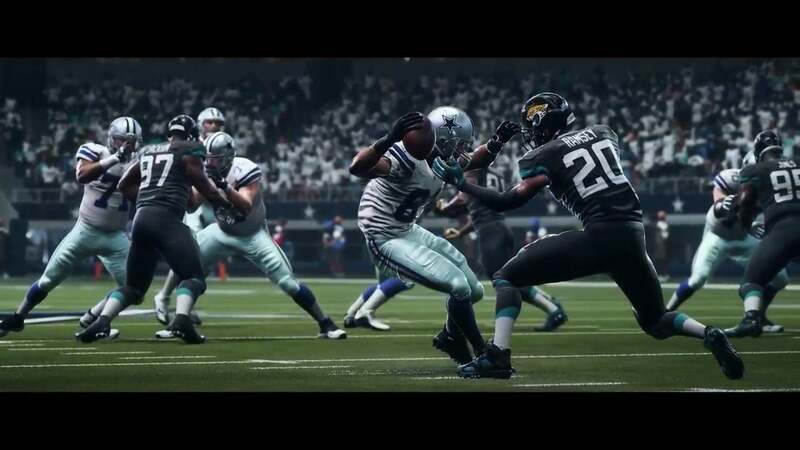 EA is making a new Fifa and a new Madden. And usually that would be where we’d stop caring, here at PCWorld—except EA is bringing Madden and FIFA to the PC this year. It’s been, as EA CEO Andrew Wilson said, over a decade since Madden was on PC so that’s huge news. II can’t wait to see some of that 4K sweat. As for NBA Live? No confirmation yet. It seems like it would make sense, although NBA Live’s a pretty lackluster franchise. Probably not much loss if it doesn’t come over, especially since NBA 2K already calls the PC home. Subscription services are the way of the future, it seems. EA is fleshing out its EA Access program with the new “Origin Access Premier,” which promises to bring all of the publisher’s latest PC games and a catalog of older games to players for a monthly fee, building on the foundation provided by the standard $5 per month Origin Access service. No word yet on price, and no idea whether it’ll be day-and-date releases like Microsoft’s Game Pass on the Xbox. The next few years could be very interesting if this trend continues though. Respawn showed up at EA Play and...well, showed nothing. Bit weird. Apparently the game is scheduled for holiday 2019 so we’ve got a while to wait—they even teased showing us a trailer next year. There were a few details at least. It’s titled Jedi: Fallen Order, and will take place between Star Wars: Episode III and IV, when (as Vince Zampella said) “the Jedi are being hunted.” Come back next year for more, I guess? In the meantime, DICE revealed new content coming for Star Wars: Battlefront II, including General Grevious, Count Dookua, Obi Wan Kenobi, and Anakin Skywalker as playable heroes and villains. I played the original Unravel and found it a bit simplistic, albeit very pretty. No surprise EA is making a sequel. The big twist is Unravel Two can be played both singleplayer and co-op, with easy drop-in-drop-out capability. 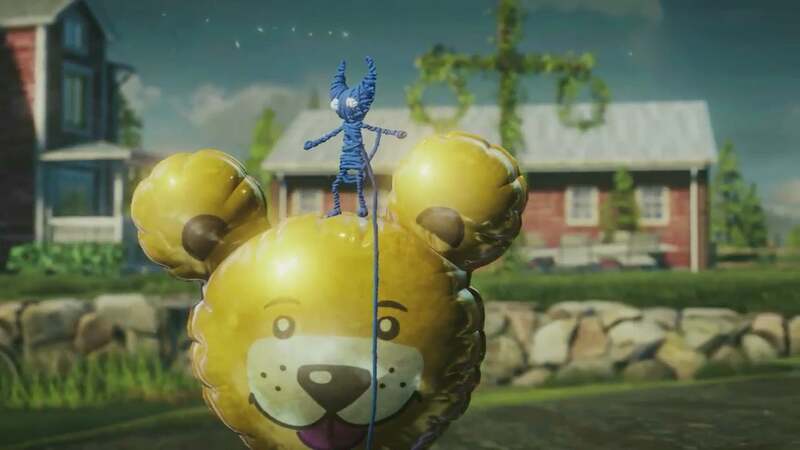 In singleplayer you can split in half and control either character, while in co-op you’ll obviously control your one Yarny. Hopefully the puzzles and platforming are a bit more interesting this time around, but hey, at least it looks gorgeous still. And get this: It’s available now. 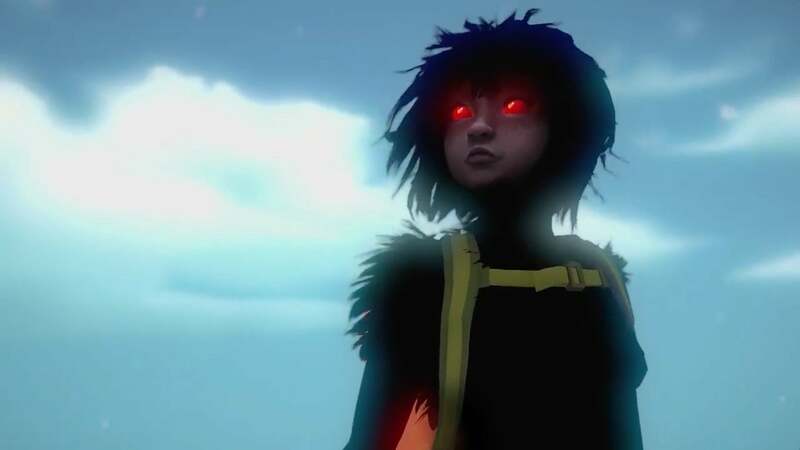 EA continued its friendly-indie-devs segment with Sea of Solitude, a game from Jo-Mei, a small studio in Berlin. The demo opened with a rowboat floating in a flooded city, and as you might expect the game deals with loneliness, worthlessness, and depression. Apparently the girl at the center of the story gets so lonely she turns into a monster, and the game is about trying to work through those feelings. 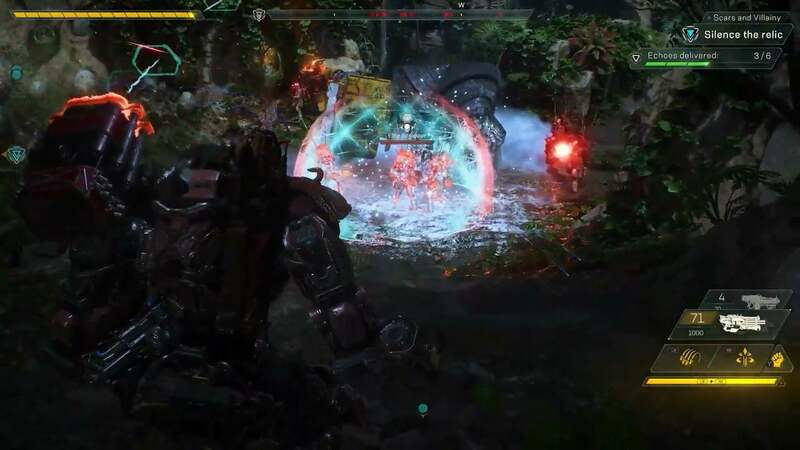 Of course, EA closed out with Anthem—probably its biggest best for the future. 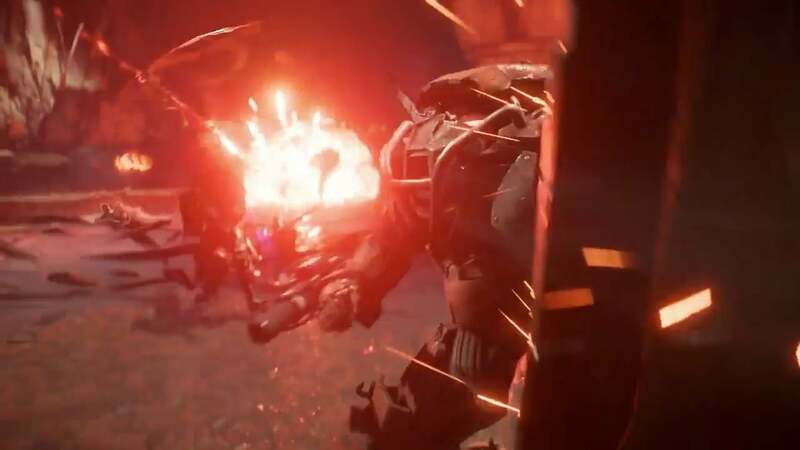 BioWare’s pseudo-Destiny got a blowout of new info, including a new cinematic trailer and a bunch of game footage, and a release date: February 22, 2019. It felt a bit like a mea culpa after Mass Effect. EA showed lots of behind-the-scenes footage of BioWare, lots of “What even is a BioWare game?” philosophizing, lots of discussion about how a story would work in a multiplayer game like Anthem. But...it looks like Destiny. Or a combination of Destiny and Warframe, with jetpacking around a big jungle, cool acrobatics, and fancy armor suits. BioWare promises a full campaign, seamless multiplayer if you want, and so on. Frostbite sure does look gorgeous. Whether it’ll be fun? It’s hard to say, at least from the brief gameplay video that EA showed. We’ll have some hands-on time today at EA Play, so expect our impressions soon. For now? Check out the trailers, and be sure to come back tomorrow for Microsoft’s E3 press conference at 1 p.m. Pacific. We’ve got details for all the live streams of E3 weekend’s big events here.